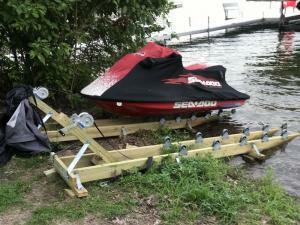 ShoreDocker roller ramp, shore docks are the easy and economical way to dock your small boat or personal watercraft. Everything is included for these simple-to-build kits except pressure treated lumber. Instructions easily guide you through building your roller ramp including hints on how to add supporting legs and joining extra sections. 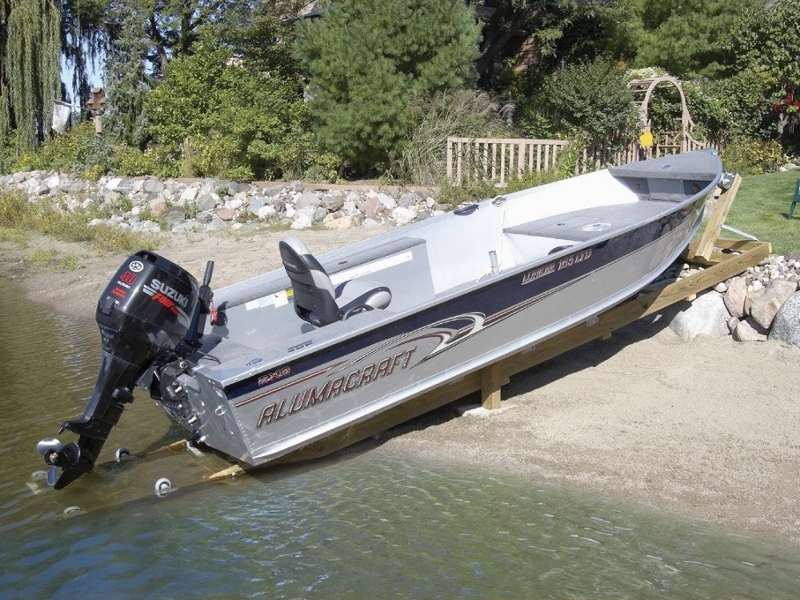 The ShoreDocker 1200 is designed to accommodate small boats and personal watercraft up to 16-20 ft. in length. 12 high quality, non-marking, polyurethane "donut" style rollers with brackets for smooth operation. Recommended length is 16 feet using 2"x6" rail beams, but you may customize the length and add supporting legs according to your needs.